The Minister of Local Government and Modernisation (Norwegian : Kommunal- og moderniseringsministeren) is a Councillor of State and Chief of the Norwegian Ministry of Local Government and Regional Development. Since 16 October 2013 the position has been held by Jan Tore Sanner of the Conservative Party. The ministry is responsible for local administration, including municipalities and county municipalities, rural and regional policy, information technology, elections and government administration, including management of state real estate and government employment. Major subordinate agencies include the Government Administration Services, Statsbygg, the Competition Authority, the National Office of Building Technology and Administration, the State Housing Bank and the Data Protection Authority. The Council of State, is a formal body composed of the most senior government ministers chosen by the Prime Minister, and functions as the collective decision-making organ constituting the executive branch of the Kingdom. The council simultaneously plays the role of privy council as well as government Cabinet. The position was created in 1948 as a successor of the Minister of Labour, originally named the Minister of Local Government and Labour. The title changed to the Minister of Local Government. Labour issues were moved to the Minister of Government Administration and Labour in 1997 and the title was changed to the Minister of Local Government and Regional Development. This lasted until 2013, when the position took over part of the portfolio of the Minister of Public Administration and took the current name. The Labour Party, formerly the Norwegian Labour Party, is a social-democratic political party in Norway. It was the senior partner of the governing Red-Green Coalition from 2005 to 2013, and its leader, Jens Stoltenberg, was Prime Minister of Norway during that time. The party is currently led by Jonas Gahr Støre. The Centre Party is an agrarian centrist political party in Norway. Founded in 1920 as a Nordic agrarian party, the Centre Party's policy is not based on any of the major ideologies of the 19th and 20th century, but has a focus on maintaining decentralised economic development and political decision-making. The Liberal Party is a social-liberal political party in Norway. The party is the oldest in Norway, and has enacted reforms such as parliamentarism, freedom of religion, universal suffrage and state schooling. For most of the late 19th and early 20th century, it was Norway's largest and dominant political party, but in the postwar era it lost most of its support and became a relatively small party. The party has nevertheless participated in several centrist and centre-right government coalitions in the postwar era. It currently holds eight seats in the Parliament, and is also a part of Norway's government together with the Conservative Party and the Progress Party. Since 2010, the leader of the party is Trine Skei Grande. Trygve Martin Bratteli (help·info) was a Norwegian newspaper editor and politician with the Norwegian Labour Party. He served as Prime Minister of Norway in 1971–1972 and 1973–1976. He was President of the Nordic Council in 1978. The Minister of Foreign Affairs is a councilor of state and chief of the Norway's Ministry of Foreign Affairs. Since 20 October 2017, the position has been held by Ine Marie Eriksen Søreide of the Conservative Party. Harriet Andreassen was a Norwegian labour activist and politician for the Labour Party. Born in Vikna, she was secretary of the union Norsk Arbeidsmandsforbund from 1967 to 1977, and of the Norwegian Confederation of Trade Unions (LO) from 1977 to 1985. On 3 October 1980, upon the resignation of Inger Louise Valle, she was appointed Minister of Local Government Affairs in the government of Odvar Nordli (1976–1981), and remained in this position throughout the short-lived first government of Gro Harlem Brundtland in 1981. Leif Jørgen Aune is a Norwegian economist and politician for the Labour Party. The Minister of Climate and the Environment is a Councilor of State and Chief of Norway's Ministry of the Environment. At the State Council on Friday the 17 of January 2018, Ola Evestuen was appointed as Minister of Climate and Environment. The post was previously held since 16 December 2015 by Vidar Helgesen of the Conservative Party. The ministry is responsible for environmental issues, including influencing environmental impacts on other ministries. Subordinate agencies include the Directorate for Cultural Heritage, the Polar Institute, the Environment Agency and the Mapping Authority. The Minister of Petroleum and Energy is a councilor of state and chief of the Norway's Ministry of Petroleum and Energy. Since 16 October 2013 the position has been held by Tord Lien of the Progress Party. The ministry is responsible for the government's energy policy, including management of Norway's energy resources, including the valuable deposits of petroleum and hydroelectricity. Major subordinate agencies and companies include the Water Resources and Energy Directorate, the Petroleum Directorate, Petoro, Gassnova, Gassco, Enova, Statnett and a partial ownership of Statoil. 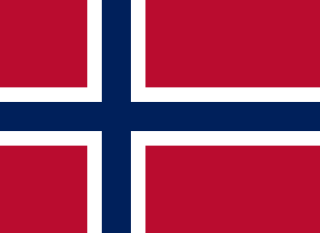 The position was created on 11 January 1978 as a response to the increased importance of oil on the Norwegian continental shelf. The position was merged with the Minister of Trade and Industry between 1992 and 1996. The Minister of Transport and Communications is a Councillor of State and Chief of the Norwegian Ministry of Transport and Communications. Since 16 October 2013, the position has been held by Ketil Solvik-Olsen of the Progress Party. The ministry is responsible for policy and public operations within postal services, telecommunications, civil aviation, public roads, rail transport and public transport, including ferry services that are part of national roads and coastal transport infrastructure. The ministry has seven agencies and four limited companies, including the airport operator Avinor, the Norwegian National Rail Administration, the Norwegian State Railways, the Norwegian Public Roads Administration and Norway Post. There are also inspectorates and authorities related to accident investigation, civil aviation, post and telecommunications, and railways. The Minister of Trade and Shipping was a councilor of state and chief of the Norway's Ministry of Trade and Shipping. The position was created on 6 December 1947 when the position of Minister of Trade and Industry was split into a portfolio for trade and shipping, and a Minister of Industry. As a prelude, a separate Minister of Shipping had been created between 1942 and 1945 to lead the Ministry of Shipping. The Minister of Trade and Industry had its own ministry until 1988, when the responsibility was taken over by the Ministry of Foreign Affairs. The position was abolished in 1997, when the portfolio was taken over by the Minister of Trade and Industry. The Minister of Children and Family Affairs is a Councilor of State and Chief of Norway's Ministry of Children and Family Affairs. Since 22 January 2019 the position has been held by Kjell Ingolf Ropstad of the Christian Democrats. The ministry is responsible for policy and public operations related to children, youth and families as well as consumer rights. Major agencies subordinate to the ministry include the Consumer Council and the Directorate for Children, Youth and Family Affairs. The Minister of Culture and Church Affairs is a councilor of state and chief of the Norway's Ministry of Culture and Church Affairs. Since 16 October 2013 the position has been held by Thorhild Widvey of the Conservative Party. The ministry is responsible for the government's policy related to culture, church affairs, religion, media, sports and gambling. Subordinate agencies include the Gaming and Foundation Authority, the National Archival Services, the National Library, the Arts Council and the Media Authority. The portfolio includes issues related the Church of Norway. Events in the year 1981 in Norway. Events in the year 1976 in Norway. The Minister of Health and Care Services is a councilor of state and chief of the Norway's Ministry of Health and Care Services. Since 16 October 2013 the position has been held by Bent Høie of the Conservative Party. The ministry is responsible for healthcare and care services, with the state's healthcare activities being carried out by four regional health authorities. Major institutions subordinate to the ministry include the Directorate for Health, the Board of Health Supervision, the Institute of Public Health, the Medicines Agency, the Radiation Protection Authority, the Labour and Welfare Service and the Food Safety Authority. The Minister of Agriculture and Food is a councilor of state and chief of the Norway's Ministry of Agriculture and Food. Since 16 October 2013, the position has been held by Sylvi Listhaug of the Progress Party. The ministry is responsible for issues related to agriculture, forestry and food. Major subordinate agencies include the Norwegian Agriculture Authority, the Norwegian Food Safety Authority and Statskog. The position was created on 31 March 1900, along with the ministry, and Ole Anton Qvam was the inaugural officeholder. Fifty people from eight parties have held the office. During the German occupation of Norway from 1940 to 1945, the office was both held by a German puppet government and an elected government in London. The Minister of International Development was a councillor of state and the chief of the international development portfolio of the Ministry of Foreign Affairs of Norway. The ministry was responsible for the foreign service, the country's international interests and foreign policy. Most of the ministry's portfolio is subordinate to the Minister of Foreign Affairs. The prime operating agency for international development is the Norwegian Agency for Development Cooperation. The position has been held by ten people representing five parties. 1 2 "Erna Solberg's Government". Government.no. 16 October 2013. Retrieved 23 October 2013. ↑ "Einar Gerhardsen's Second Government". Government.no. Archived from the original on 23 March 2012. Retrieved 23 March 2012. ↑ "Oscar Torp's Government". Government.no. Archived from the original on 23 March 2012. Retrieved 23 March 2012. 1 2 3 "Einar Gerhardsen's Third Government". Government.no. Archived from the original on 23 March 2012. Retrieved 23 March 2012. ↑ "John Lyng's Government". Government.no. Archived from the original on 23 March 2012. Retrieved 23 March 2012. ↑ "Einar Gerhardsen's Fourth Government". Government.no. Archived from the original on 23 March 2012. Retrieved 23 March 2012. 1 2 "Per Borten's Government". Government.no. Archived from the original on 23 March 2012. Retrieved 23 March 2012. ↑ "Trygve Bratteli's First Government". Government.no. Archived from the original on 23 March 2012. Retrieved 23 March 2012. ↑ "Lars Korvald's Government". Government.no. Archived from the original on 23 March 2012. Retrieved 23 March 2012. ↑ "Trygve Bratteli's Second Government". Government.no. Archived from the original on 23 March 2012. Retrieved 23 March 2012. 1 2 3 4 "Odvar Nordli's Government". Government.no. Archived from the original on 23 March 2012. Retrieved 23 March 2012. ↑ "Gro Harlem Brundtland's First Government". Government.no. Archived from the original on 23 March 2012. Retrieved 23 March 2012. ↑ "Odvar Nordli's Government". Government.no. Archived from the original on 23 March 2012. Retrieved 23 March 2012. 1 2 3 "Gro Harlem Brundtland's Second Government". Government.no. Archived from the original on 23 March 2012. Retrieved 23 March 2012. ↑ "Jan Syse's Government". Government.no. Archived from the original on 23 March 2012. Retrieved 23 March 2012. 1 2 "Gro Harlem Brundtland's Third Government". Government.no. Archived from the original on 23 March 2012. Retrieved 23 March 2012. ↑ "Thorbjørn Jagland's Government". Government.no. Archived from the original on 23 March 2012. Retrieved 23 March 2012. 1 2 "Kjell Magne Bondevik's First Government". Government.no. Archived from the original on 23 March 2012. Retrieved 23 March 2012. ↑ "Jens Stoltenberg's First Government". Government.no. Archived from the original on 23 March 2012. Retrieved 23 March 2012. ↑ "Kjell Magne Bondevik's Second Government". Government.no. Archived from the original on 23 March 2012. Retrieved 23 March 2012. 1 2 3 "Jens Stoltenberg's Second Government". Government.no. Archived from the original on 23 March 2012. Retrieved 23 March 2012. Wikimedia Commons has media related to Ministers of Local Government and Regional Affairs of Norway .